Albert’s Printing NY offers Hang Tags that can be attached to clothing and other items to attract attention to prices and discounts, as well as your contact information and logo. We use our experience and technical expertise to provide our clients with a high quality end product. Our customized Hang tag printing can add that touch of excellence to your gift or garment product, creating a recognizable label that stands out. 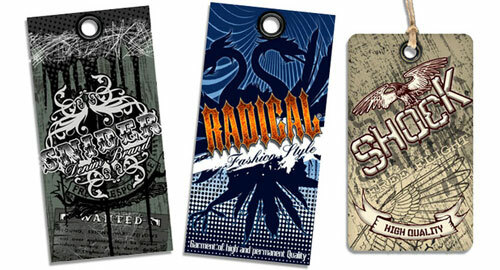 Hang Tags are without doubt high-profile brand carriers, closely reflecting changing fashion trends and brand progression. With our experienced internal design team and almost limitless possibilities, we can ensure that the quality and function of this product will reflect your brand and garment style seamlessly.